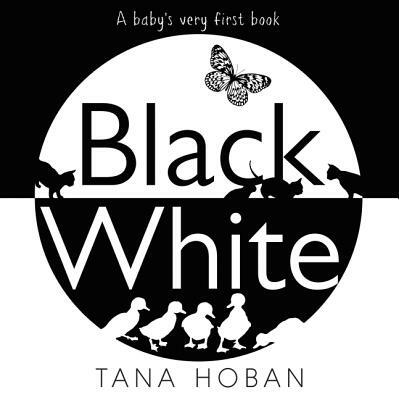 From the eminent photographer and acclaimed book creator Tana Hoban, this bestselling board book features bold black-and-white high-contrast images to engage babies and very young children. Tana Hoban's board books have sold more than a million copies and are beloved by teachers, librarians, parents, and readers. A perfect gift for new parents and babies. Before they are able to clearly see colors, babies respond to the strong contrast between black and white, which makes this the perfect first book for young, developing brains. Experiencing bold black-and-white contrast helps stimulate development in the retina and the optic nerve. This large-format, sturdy board book features high-contrast art from four bestselling Tana Hoban board books: Black on White, White on Black, Who Are They?, and What Is That? These classic and popular books have sold more than one million copies. About Black on White and White on Black, Publishers Weekly said, "Hoban's compositions are so supple and her layouts so well balanced that she casts kind of a spell . . . magical."